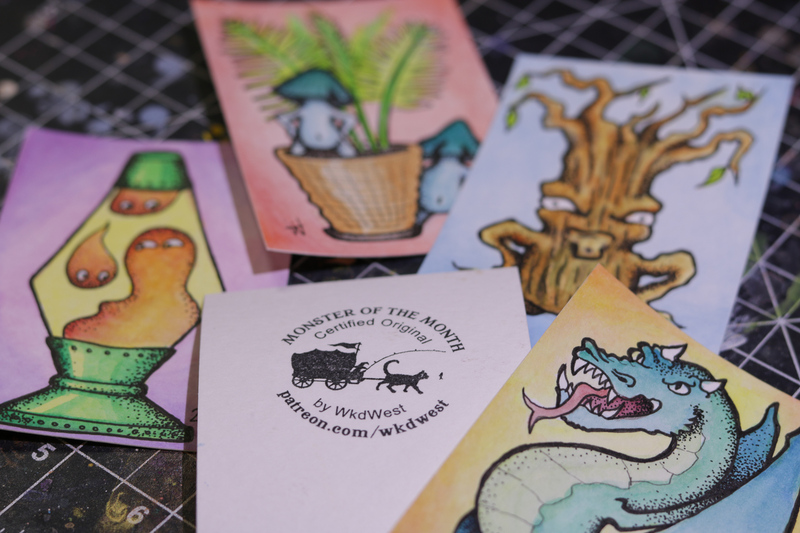 Wicked West (WkdWest) is creating Funguise friends and monthly monsters! 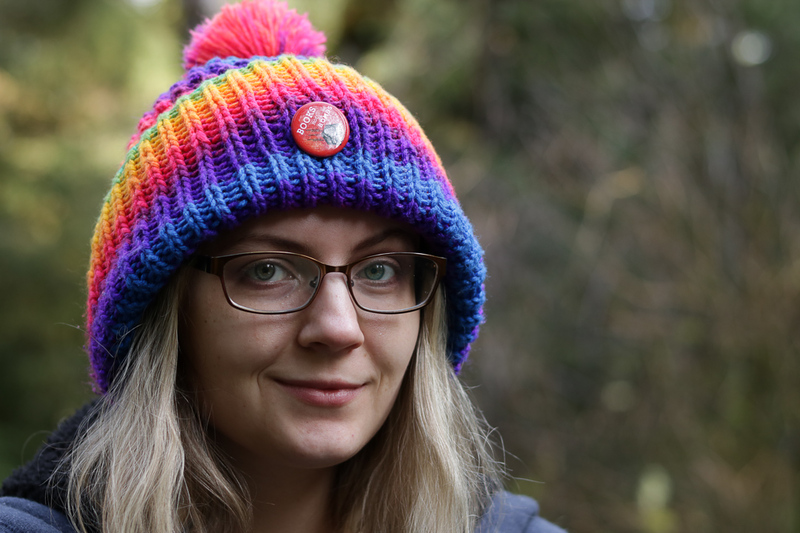 I'm Wicked West, a sculptor, small business owner, and part-time bookseller from the Oregon Coast. 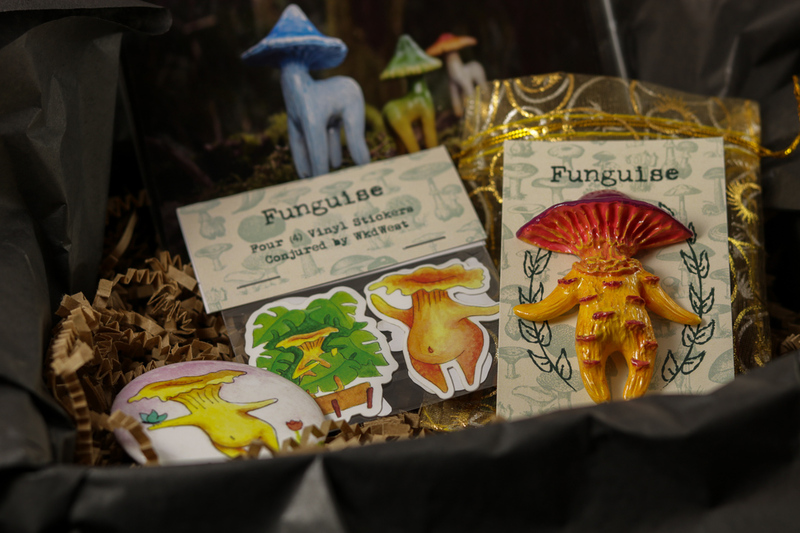 You may already know me as the creator of the mushroom creatures with prominent fannies known as the FUNGUISE! 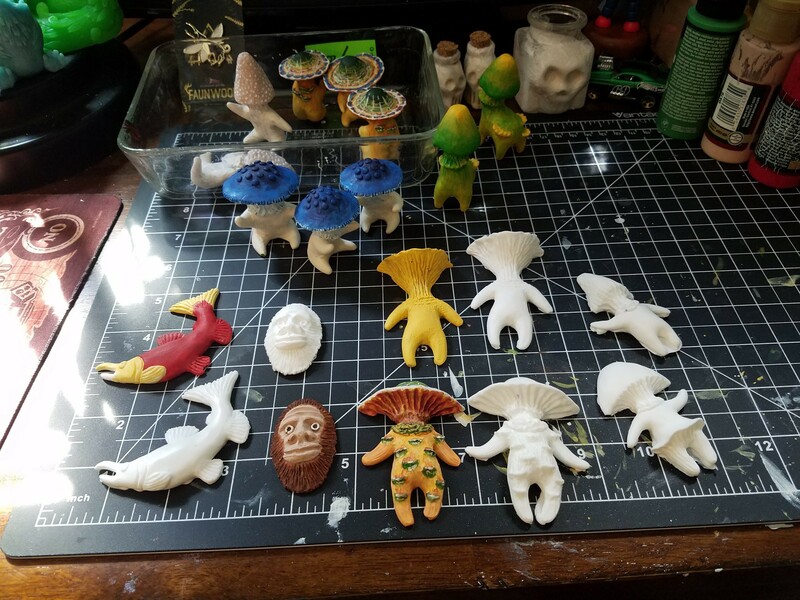 This Patreon provides a behind-the-scenes look into my journey as a small handmade business owner as well as a peek into the unique universe I am creating with my art. In addition to managing an online storefront for my art through Etsy, I will be making occasional appearances at various craft shows and conventions throughout the year. I LOVE meeting my customers and building relationships with other creators! What can you expect as a Patron? For as little as $1 a month you can unlock my weekly page updates that contain a detailed summary of what I am working on! I take exclusive Patreon-only photos as well as go into detail about my process and describe any hiccups that occur along the way. Anything that isn't covered in my post I am happy to answer in the comments! I generally post 4 updates per month, but sometimes I will share additional BONUS content. In addition to this digital content, for $5 a month you can receive a special postcard-sized PHOTOGRAPH PRINT of my work! These prints are normally released to my Etsy each Quarter, but as Patrons you will get privileged early-access to collect them as soon as they’re produced! But, for only $10 a month you can join my EXCLUSIVE MONSTER OF THE MONTH club!! This reward is limited to only 10 lucky patrons who will receive an ORIGINAL DRAWING in the mail EACH MONTH! The subject of these illustrations are a surprise to the Patron and come with an official stamp certifying it as a piece from this exclusive club. Although Patrons at this level do not receive the postcard-sized print, but they do have access to my weekly digital content. 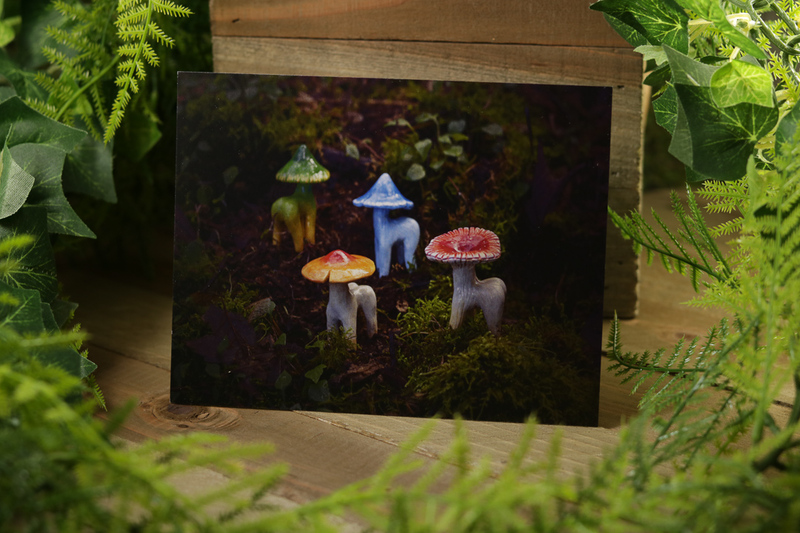 AND … 1 PATREON EXCLUSIVE COLORWAY of a Resin Artwork! Although this tier doesn’t provide the instant-gratification of a reward each month, the wait is worth it: Patrons of my QUARTERLY BOX tier are the ONLY people in the world to receive this exclusive colorway, giving them incredible collector’s value. This tier will be strictly limited to 10 per quarter, and the price per month is TBA. on most* Tuesdays and Thursdays! * - check my Twitter for changes in this schedule!! Instant Invite to my Discord Channel! AND one new 1.5" x 2" sticker! Each Illustration is a Surprise! AND a PATREON EXCLUSIVE COLORWAY of a Resin Artwork! Include one of my new 1.5" x 2" stickers in the $5 tier! Include the monthly postcard AND sticker in the $10 tier!